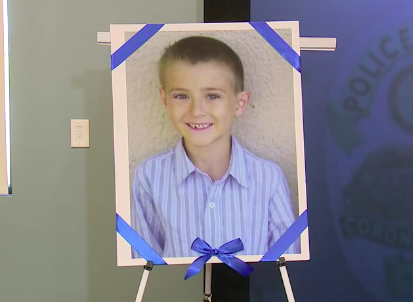 Authorities have launched a homicide investigation regarding the disappearance of 8 year-old Noah McIntosh. CORONA—Bryce McIntosh, 33, was charged for the murder of his 8-year old son, Noah McIntosh on Thursday, March 28. Noah was last seen over a month ago near the 4600 block of Temescal Canyon Road. Both parents, McIntosh and Jillian Godfrey, were charged with willful child abuse on March 14 when the police were first notified of the child’s disappearance. Godfrey remains in custody on child abuse charges, and her bail remains $500,000. The Riverside County District Attorney’s Office charged Bryce McIntosh with first-degree murder and a special circumstance murder of torture. If convicted on all charges, McIntosh would be eligible for the death penalty. On March 12, at 7:33 p.m., Corona Police Department Officers responded to 4637 Temescal Canyon Road Unit #201 to conduct a welfare check on eight-year-old Noah McIntosh after Noah’s mother, Jillian Godfrey informed the department concerned over his whereabouts. She indicated she had not been able to contact Noah for close to two weeks. Officers attempted to contact the father, Bryce McIntosh, at the address, but he did not answer. On March 13, a search warrant was authored and served at Bryce’s apartment. The evidence discovered provided detectives probable cause to arrest Bryce McIntosh and Jillian Godfrey for child abuse. 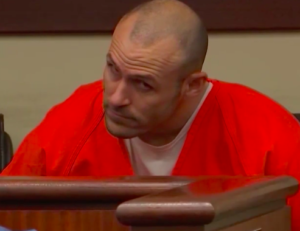 The evidence also led investigators to several locations throughout the county including Temescal Valley, Aguanga, and Murrieta. The Corona Police Department indicated that subsequent search of these sites delivered evidence at each of these locations. Corona Police Chief George Johnstone announced on Thursday, March 28, “We did collect trace evidence that leaves no doubt that Noah is the victim of a homicide.” The missing person case has now been declared a homicide investigation. Investigators are asking the public to recall any sightings of the boy, his parents or McIntosh’s car in the last month, specifically between the dates of February 20 to March 12. 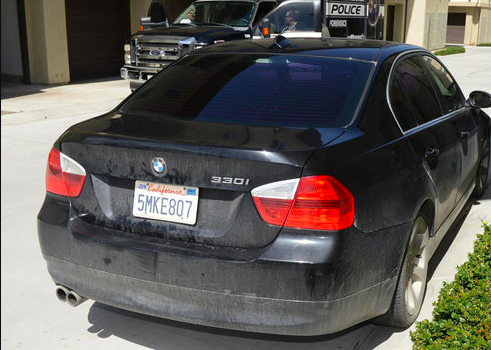 Pictures of McIntosh’s vehicle, a black BMW 330i, CA license 5MKE807 have been released. Last weekend a vigil was held for Noah, where the community hung blue ribbons throughout the area in his memory. McIntosh and Godfrey are both in jail and due to appear in court on April 8. Johnstone stated that the police “Will continue to search for Noah with any lead or tip that comes in,” and that they “encourage the public to contact them with any information.” The Corona Police Department along with county, state and federal law enforcement agencies are working together to locate the child. Anyone with information on the case or the whereabouts of Noah McIntosh is asked to contact Senior Detective Mario Hernandez at 951-279-3659 or Mario.Hernandez@CoronaCA.gov.